Muswell Hill Golf Club is North’s London premier golf course, popular among societies and corporate hosts who return year after year. Muswell Hill Golf Club is a testing Par 71 (Men) and Par 73 (Ladies) 18-hole parkland course earning a reputation for being beautifully maintained and benefiting from continued course investment; boasting true and fast greens and recently remodelled bunkers. Its undulating terrain is sufficiently challenging to test the very best golfer as well as offering a more forgiving experience to the less gifted majority. We pride ourselves on a friendly welcome and a flexible approach to ensure you and your guests enjoy a unique golf day experience. We offer a range of packages or we can help you create your golf day by tailoring a package to suit your requirements. You and your guests can prepare for your round by accessing the practice facilities including putting green, practice nets and dedicated short-game area. Enjoy the facilities of our relaxed and friendly Clubhouse, including new and modern changing facilities, excellent bar and dining options with extensive menu, and outside terrace with views across the course. There is ample parking available on site. Visitors can also enjoy access to free WiFi. 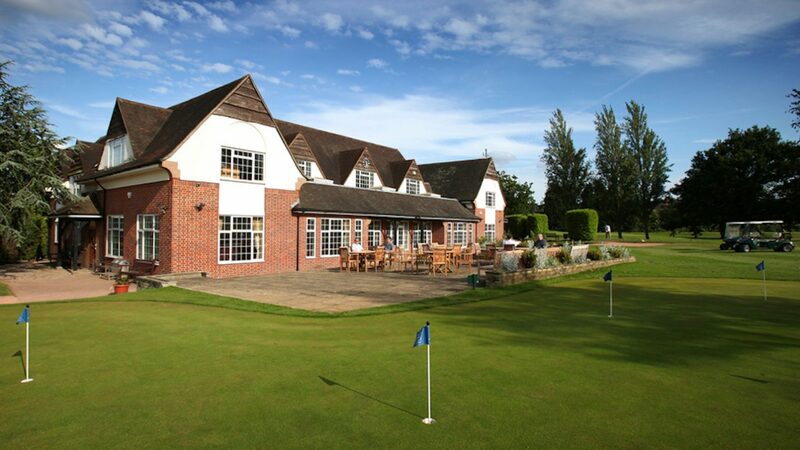 Our convenient and accessible location only five miles from the City of London and a five-minute drive from the North Circular makes the course an ideal golfing destination for your golf day. by phone 020 8888 1764. By car: 5 minutes from the North Circular. and bank holidays from £55 (18 holes). Twilight offers also available on request.